I have blogged about making a sake cocktail before. New to the sake world, I am enjoying it’s versatility and flavorful notes. 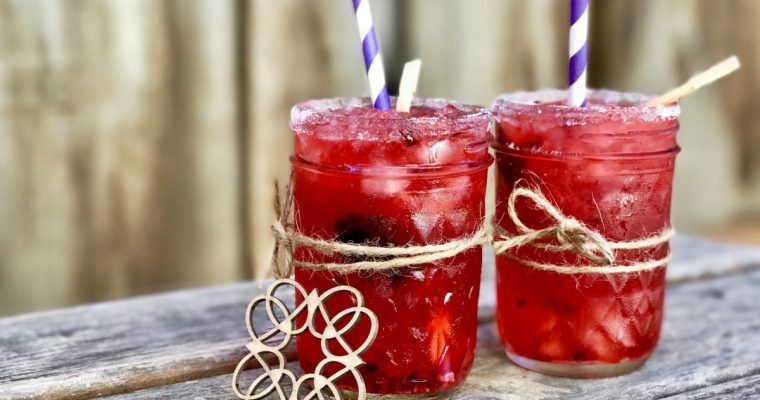 This lovely cocktail is based on the National drink in Brazil called a Caipirnha cocktail traditionally made with cachaça ( also known as aguardente, pinga, caninha), which is a distilled spirit, made from fermented sugarcane juice, known as the Brazilian version of rum. The standard Caipirnha recipe is incredibly simple, requiring only three ingredients: lime, sugar and cachaça. If you’ve never tried one, you should. 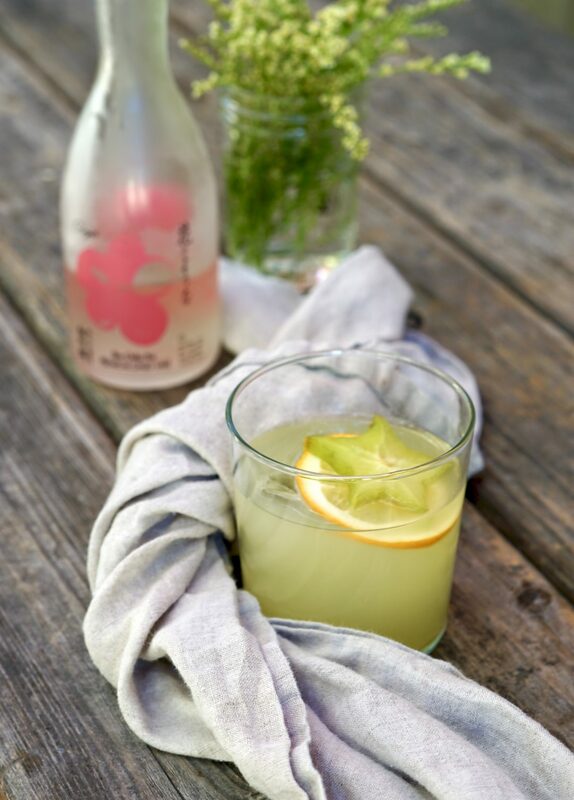 Made in a similar way of a mojito, it’s a refreshing drink for warmer months such as Spring. 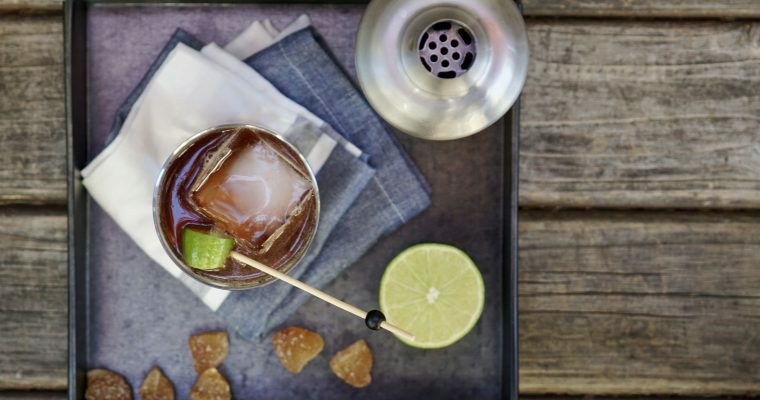 This is a lighter, more modern twist on a Caipirinha. 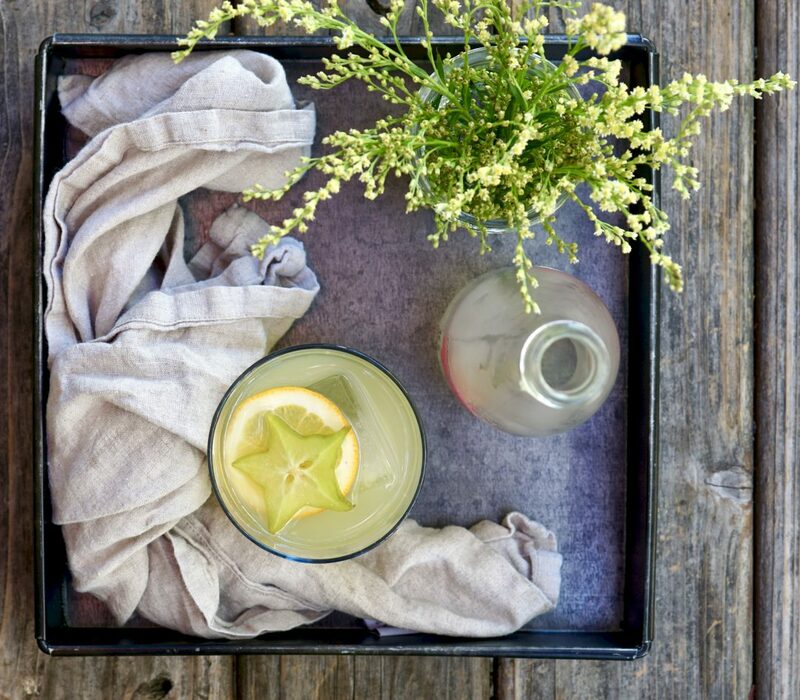 I use sake instead of rum and the combination of Meyer lemon and starfruit for a citrus punch. I may be biased, but it’s winner. For those that are unfamiliar, starfruit is a star-shaped tropical fruit with subtle sweet and sour flavor. Native to the Malayan Peninsula and cultivated in many parts of Southeast Asia, the Pacific Islands and China. 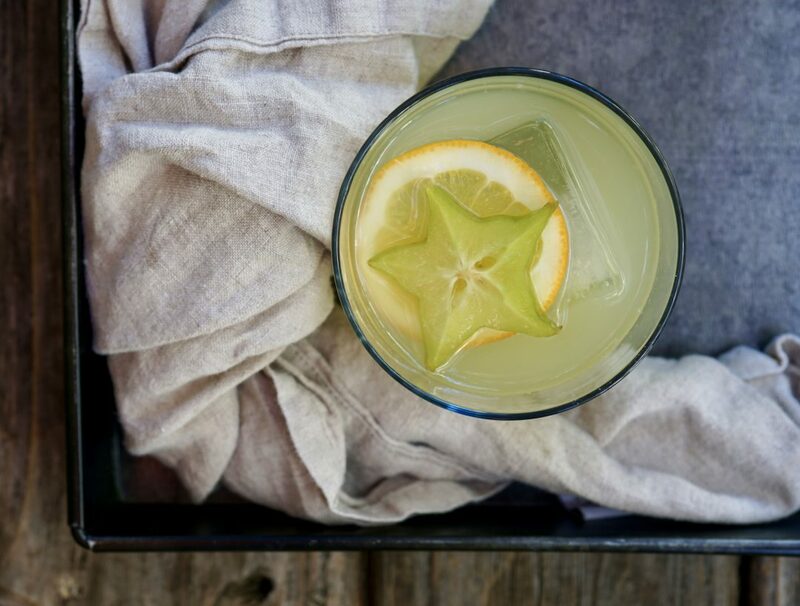 Considered a low-calorie fruit loaded with vitamin C. Starfruit has an impressive list of essential nutrients and antioxidants making it a great cocktail fruit option in my eyes. In this tasty drink I play upon the mojito-style mixing approach by muddling fresh basil leaves, instead of mint, to bring out a nice herbal note which I think is perfect for the start of Spring. Step 1 Place some ice in a lowball glass and set aside. Step 2 In a cocktail shaker, add the diced starfruit, sugar and basil. Using a muddler, muddle the starfruit mixture until it is nice and mashed up. Step 3 Add the lemon juice, sake and a handful of ice. Shake vigorously for about 30 seconds. Double strain into the prepared cocktail glass. Garnish with 1-2 slices of starfruit and a lemon slice.